This botanical garden was established by English merchant Samuel Cocking during the Meiji Period, and its mix of Japanese and European influences gives the garden an exotic feel. At Enoshima Samuel Cocking Garden, visitors can enjoy a variety of seasonal plants and flowers all year round. This botanical garden was established by English merchant Samuel Cocking in 1862 and contains both Japanese and European influences. The garden covers 10,000 square meters, and includes a variety of South Pacific plants and other seasonal flowers that can be enjoyed all year round. Various events are held throughout the year, with the winter illuminations and winter tulips being particularly beautiful. On the theme of international exchange, Fujisawa City also operates an "International Friendship Corner" inside the garden. Fujisawa City is currently sistered with Miami Beach (Florida, USA), Windsor (Ontario, Canada), Kunming (Yunnan, China), Boryeong (South Chungcheong, South Korea), and Matsumoto (Nagano, Japan). This is a lighthouse observation tower located inside the Samuel Cocking Garden. 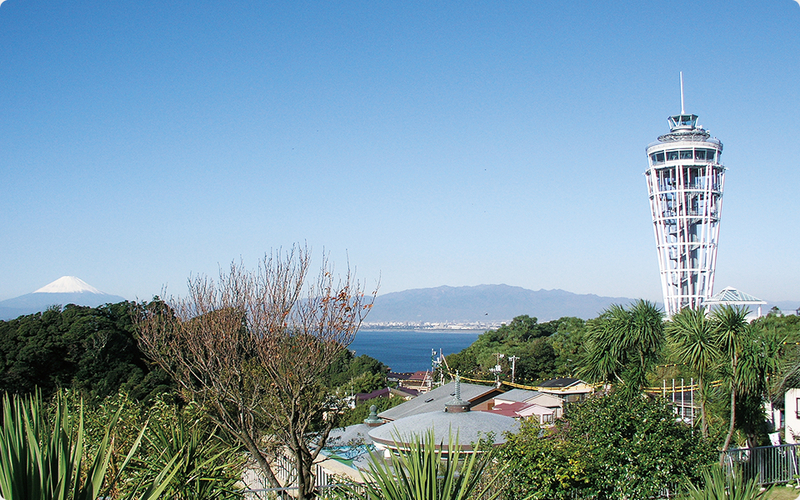 Standing at a height of 59.8 meters, and 119.6 meters above sea level, the Sea Candle was rebuilt from the old lighthouse on the site, and is now the largest privately owned lighthouse in Japan. 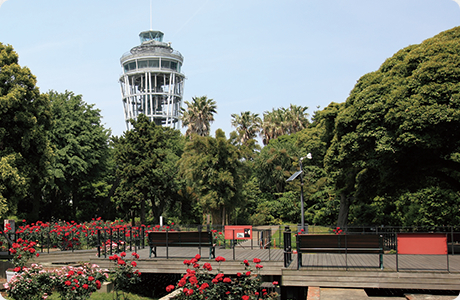 This symbolic tower of Enoshima provides stunning 360 degree panoramic views of Sagami Bay. There are views of Mt. Fuji, and on clear days, visitors can hope to see as far as Yokohama Landmark Tower, Tokyo SkyTree, and Izu Oshima Island. Constructed in 1959, "Enoshima Escar" was Japan's first outdoor escalator. At 106 meters in length, the escalator provides a total elevation of 46 meters over 4 sections. 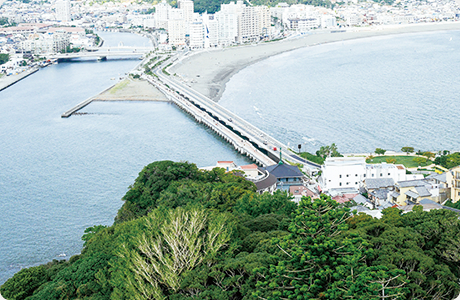 Compared to the 20 minutes it takes to climb the stone steps, Enoshima Escar gets you to the top in just 4 minutes. 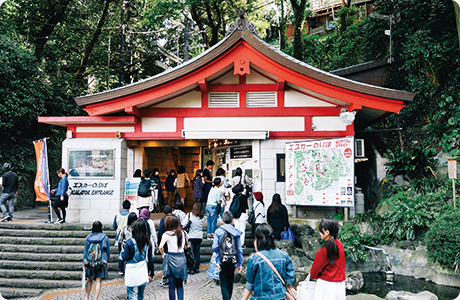 Enoshima Escar is recommended for visitors heading to Enoshima Shrine, Enoshima Samuel Cocking Garden, and Enoshima Sea Candle. Notice: This escalator travels upwards only.